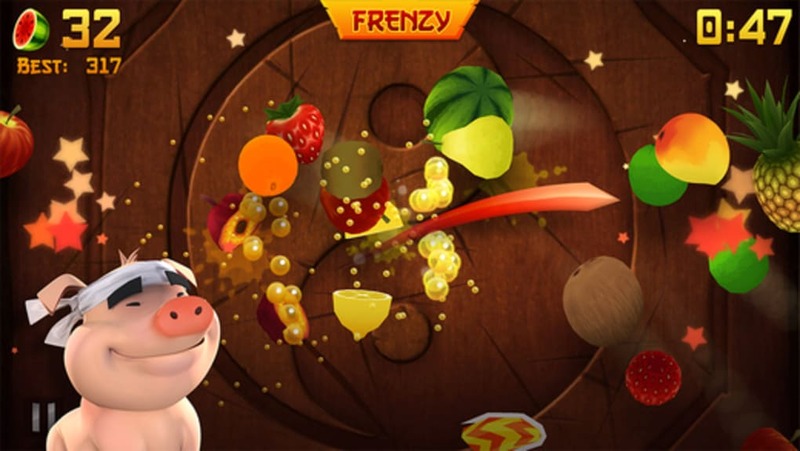 Fruit Ninja Free is an addictive, cutthroat game of skill in which the object is simply to slice up as much fruit as you can. Essentially the only thing you need to do in Fruit Ninja is to swipe your finger across the screen to wield your sword. You must slice every piece of fruit that is thrown up from the bottom of the screen. If you miss a piece before it falls back off the screen, you lose a life. Likewise, if you touch one of the rogue bombs that come flying up, you lose a life too. Fruit Ninja is one of those games that feels really rewarding to play. The feeling of slicing fruit is so satisfying that it keeps you coming back for more and more in an effort to beat your high score. Though the gameplay is very repetitive, the developer of Fruit Ninja, Halfbrick, has done plenty to keep your attention for longer. There are three game modes: Classic, Arcade, and Zen (though each is pretty similar), and a whole bunch of power-ups, swords, and backgrounds to unlock. You'll need to level up and collect coins to unlock all the goodies, which you do by racking up high scores and completing challenges. Fruit Ninja allows you to match yourself up against your Facebook or Google+ buddies, competing to see who has the highest score. 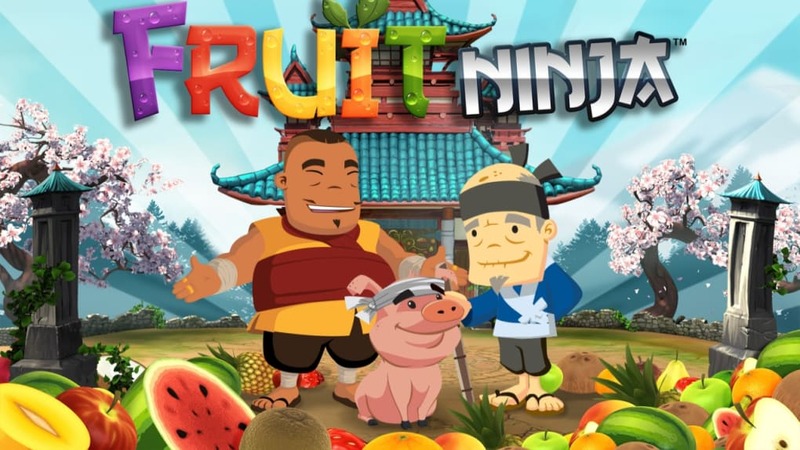 This is as far as multiplayer goes though, and I for one would like to see some kind of real time head-to-head or split-screen mode in Fruit Ninja. 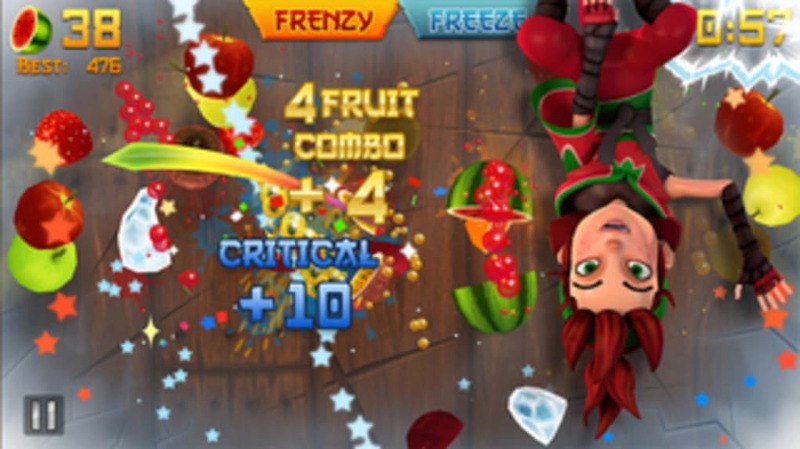 The hacking and slashing controls in Fruit Ninja are very simple to pick up. 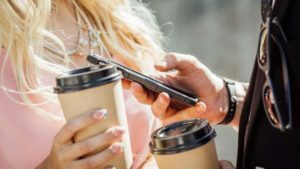 All you need to worry about is swiping your finger across the screen as fast as you can. Actually, there's more to it than that, since you need to be careful to avoid bombs and time your slashing right so you can slice multiple fruits at once to earn combos. 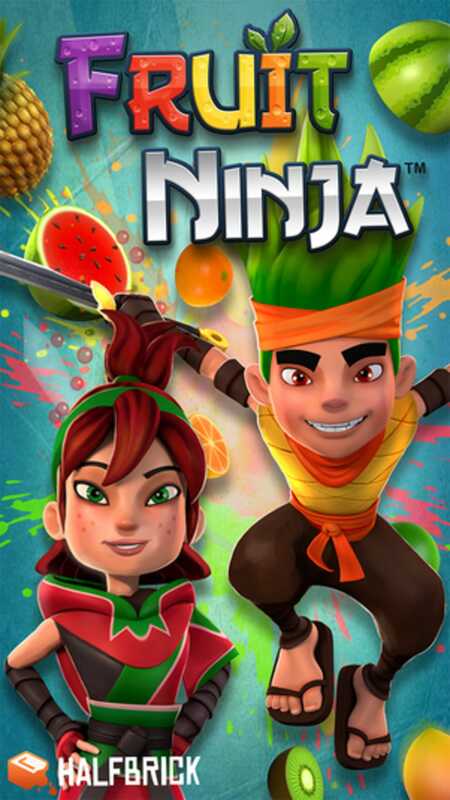 The look and feel of Fruit Ninja is excellent. From the realistic splat sound of pineapples being hacked open to the fact that all menu icons must be selected by slicing them, the attention to detail in Fruit Ninja is something to behold. The serene Far East-style background music fits very well with the theme, too. 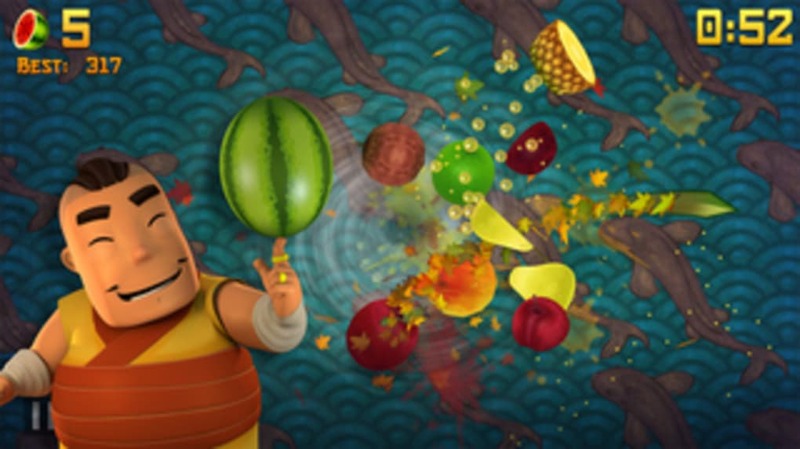 Fruit Ninja is presented by a cast of fun characters who pop up from time to time to give you hints or interact in some way. 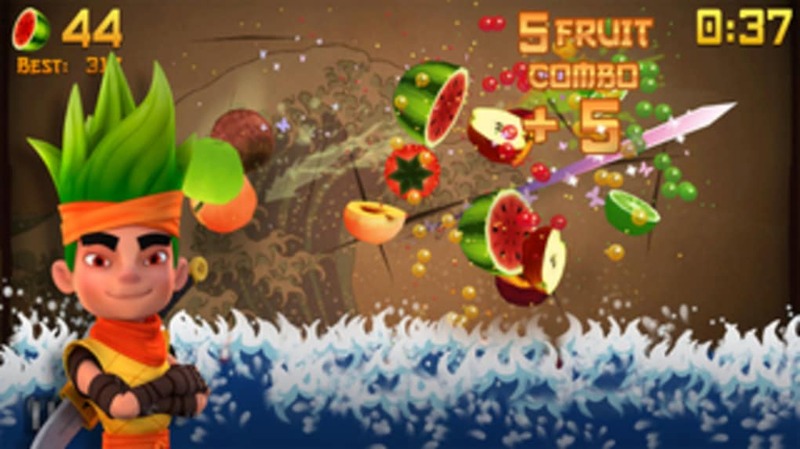 If you're looking for a fun game of skill to kill some time, Fruit Ninja is a peach of a choice. It's great for picking up on a train or a bus, though you may find it repetitive after a while. 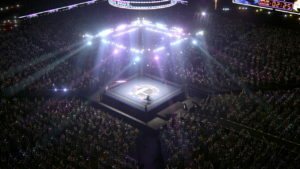 The most over the top WWE game yet - You can believe that! What do you think about Fruit Ninja? Do you recommend it? Why?